Professor Hashim is a Consultant Urological Surgeon and Director of the busiest and most established urodynamics unit in the UK which is based at the world-renowned Bristol Urological Institute, Southmead hospital. He is also an Honorary Senior Lecturer at University of Bristol. He graduated from St Bartholomew’s and the Royal London School of Medicine and Dentistry in London. Following that he completed his basic surgical training in London and Oxford where he obtained membership of the Royal College of Surgeons of England. This was followed by two years of clinical research as a fellow at the Bristol Urological Institute where he was awarded a Doctor of Medicine (MD) research degree by the University of London. Professor Hashim provides a personalised service to his patients. He is one of the few urological surgeons in the UK, and the only one in Bristol who is fellowship trained with three fellowships. He is experienced in female, functional and reconstructive urology including female and male urinary incontinence procedures, urodynamics, prolapse surgery, and neuro-urology. He is nationally and internationally renowned in his field and provides a national and international service for patients with urinary incontinence and lower urinary tract symptoms. 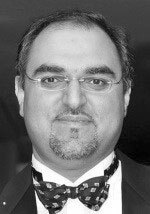 Professor Hashim is a member of the European Association of Urology Strategic Planning Office, the International Consultation on Incontinence Urodynamics committee and an editorial board member of Neuro-urology and Urodynamics. He is the chief investigator of the UNBLOCS trial which compares standard endoscopic prostate surgery (TURP) to thulium laser vaporesection of the prostate. He is also the principal investigator for the MASTER trial comparing male sling to artificial urinary sphincters in men with urinary incontinence. Both these trials are funded by the National Institute for Health Research. Professor Hashim is also involved in other clinical trials on nocturia, overactive bladder syndrome and urodynamics. He has lectured at major national and international conferences and has trained several trainees and fellows in female urology and urodynamics. He has published over 50 articles in peer-reviewed journals, 4 books and 35 book chapters. He also teaches urodynamics nationally and internationally and is director of the highly successful certificate in urodynamics course. Professor Hashim Hashim does not hold a share or financial interest in this hospital, another Nuffield Health hospital or the company. Professor Hashim Hashim does not have a share or financial interest in equipment used at this hospital or another Nuffield Health hospital. Professor Hashim Hashim does not hold any paid advisory role(s) at this hospital or on behalf of Nuffield Health.